Today we’re announcing a $25 million grant to GiveDirectly, a nonprofit that makes cash transfers directly to extremely poor households in countries like Kenya and Uganda via mobile phones. Hundreds of millions of people around the world live in extreme poverty. Governments and donors spend tens of billions of dollars a year on reducing poverty, but the people who are meant to benefit from the money rarely get a say in how it’s spent. GiveDirectly is changing that by transferring money directly to extremely poor individuals and families, with no strings attached. 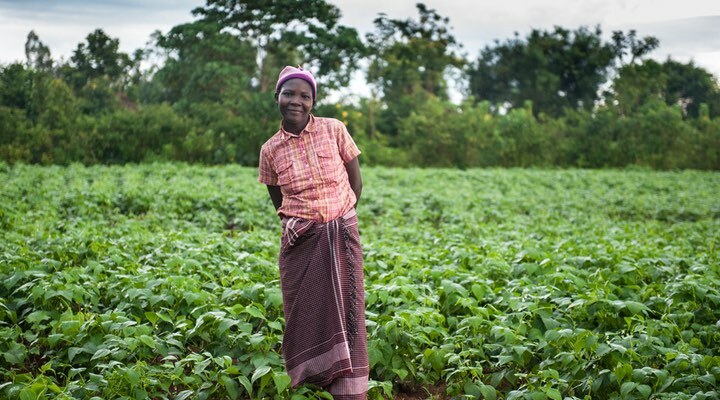 Research on GiveDirectly's program shows that recipients spend the funds in many different ways to improve their lives, often leading to significant increases in their assets, earnings and food security. So far, GiveDirectly has made transfers of $1,000 (around a year’s income, on average) to thousands of households. Our investment is meant to accelerate GiveDirectly’s growth and build its capacity to partner with major international aid agencies, as interest in cash transfers increases across the aid sector. Our investment also will provide cash transfers to thousands of individuals and families. GiveDirectly has ambitious goals. It envisions a world in which billions of dollars are transferred directly to the poorest people every year. GiveDirectly wants to help governments and other NGOs use cash transfers as the “standard of comparison” for aid programs — and ultimately shift resources from less cost-effective programs to cash transfers. We’re happy to support this work because we see a lot of potential in cash transfers as a tool for greater impact and accountability in international aid and development. If GiveDirectly helps to shift even a small portion of institutional spending from less cost-effective programs to cash transfers, it would be a major accomplishment. Meanwhile, GiveDirectly wants to continue studying how to deliver cash transfers most effectively and how they impact the lives of individuals, families and communities. All of GiveDirectly’s cash transfers are part of rigorous evaluations that test the impact and design of its program. That means donations to GiveDirectly not only help extremely poor people in the short term, they also help improve its model for the future. GiveDirectly is one of the most outstanding charities we’ve ever encountered, and we are deeply excited to help it pursue these goals. GiveDirectly stands out not only for delivering an especially cost-effective and evidence-backed program, but also for the values and quality of its team. GiveDirectly is exceptionally open, honest, self-reflective and data-driven. We have a high degree of confidence that it will use these funds wisely and that when problems arise we will learn about them. We can’t recommend GiveDirectly highly enough to other donors. You can learn more about GiveDirectly at www.givedirectly.org. We owe special thanks to GiveWell (www.givewell.org) for its help with this grant. GiveWell recommends GiveDirectly as one of its “top charities,” and over the past few years, we’ve made four other grants (totaling $12.6 million) to GiveDirectly based on GiveWell’s recommendation. You can read more about the process that lead to this grant at GiveWell’s write-up. The rest of this post gives more detail about how GiveDirectly plans to use our investment. GiveDirectly plans to use ~$16-19 million to provide cash transfers directly to extremely poor households using its standard operating model, or through partnerships with governments and large NGOs. These partnerships are meant to help institutional funders learn more about cash transfers, including how they compare with other programs in terms of cost-effectiveness. Through these partnerships, GiveDirectly hopes to encourage aid agencies to deliver more cash transfers with their own funds, and to establish cash transfers as the “standard of comparison” for aid programs. GiveDirectly plans to use ~$6-9 million of this grant over the next three to four years to build a marketing and fundraising team. If successful, this could help accelerate GiveDirectly’s growth significantly in the years ahead, as it aims to take its cash-transfer program to scale globally. Great news. I've followed the GiveDirectly model for a while and what I've seen of it leads me to believe it is indeed one of the best emerging ways to support the world's poor. It is the antithesis of well-intended but often bloated, slow-moving, expensive and wasteful top-down programs that are still far too common in the traditional aid world. Progress! Excited to see what kind of impact this will have.